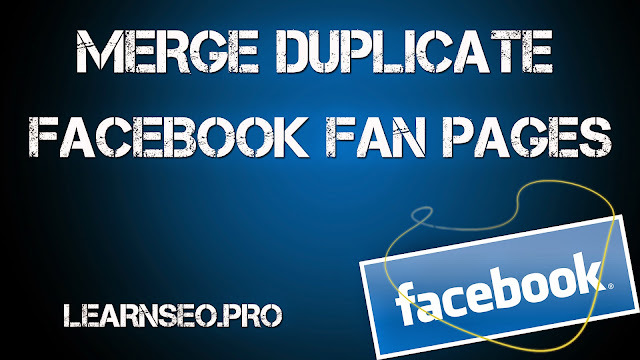 How to Merge Facebook Duplicate Fan Pages? Facebook has announced a new feature in which now you can Merge Facebook Duplicate Fan Pages. Facebook may be able to help you merge multiple Pages you manage for the same thing, combining check-ins and people who like the Pages. If you are an admin of multiple Pages that represent the same thing, we may be able to merge them. Merging Pages combines all your likes and check-ins into one Page. Merging Pages combines all your likes and check-ins, but all other content such as posts, photos and the username will be permanently deleted from the Page you merge. "Jane Smith BodyArt" into "Jane Smith Body Art"
"Photography by Kevin" into "Photography by Kevin Camera"
"Fans of Facebook" into "Facebook"
Before submitting request read the Terms and Conditions Carefully. Now Facebook will help you all to merge multiple fan pages you manage for the same thing, combining check-ins and people who like the Pages.